​Drizzle is a simple algorithm that creates an image that is larger than the images in the stack and interpolates between pixels to ensure it reproduces fine detail in edges despite the effects of stacking transformations. 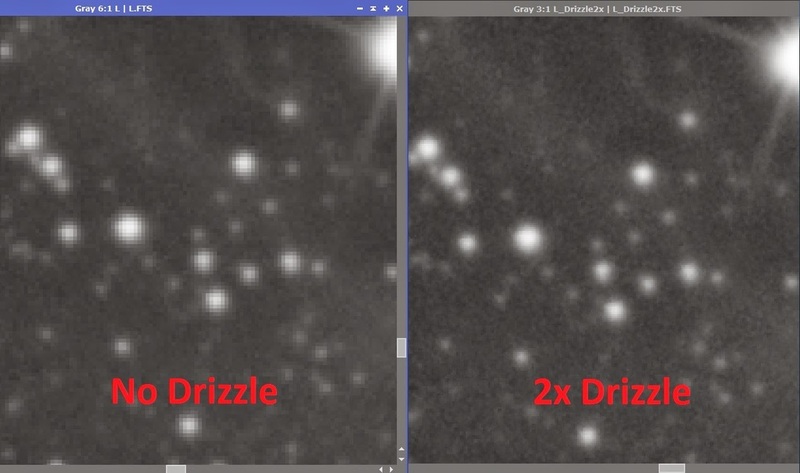 Drizzle tends to have modes such as 2x Drizzle and 3x Drizzle. The former generates a final stacked image that is twice the size in each dimension. 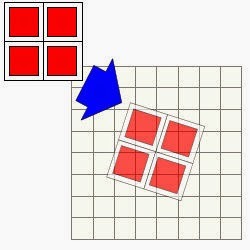 The latter is similar, but three times the size in each dimension. 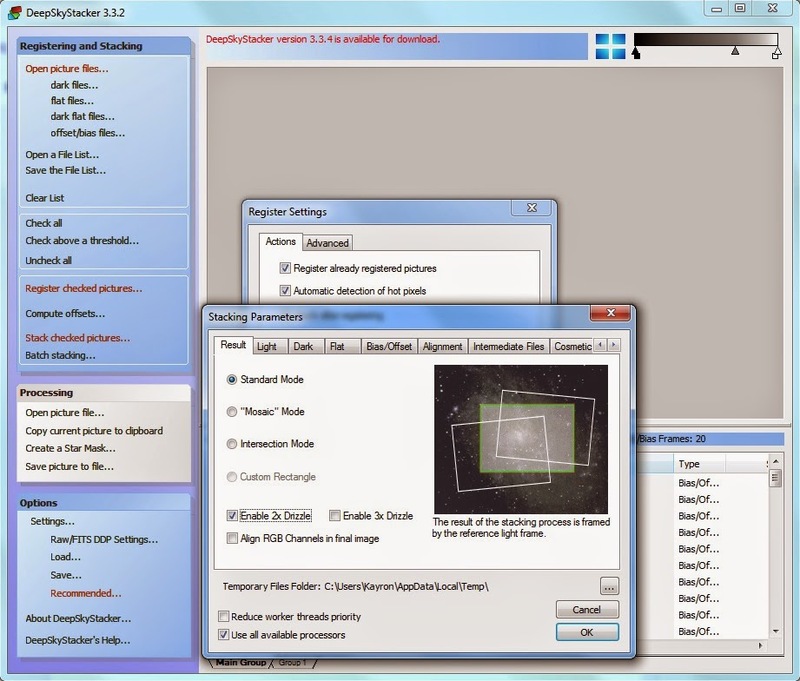 DeepSkyStacker's Drizzle settings are found in the first Stacking Parameters tab (Result). Clearly a large difference in pixelation is visible, with 2x Drizzle making all the edges much smoother across the image. This is particularly noticeable on the stars and on the star diffraction spikes (the brightest edges in the image). Overall, Drizzle is an excellent stacking algorithm to use if your images in the stack are dithered and especially if you have a good data set to stack (10 or more images, for example). 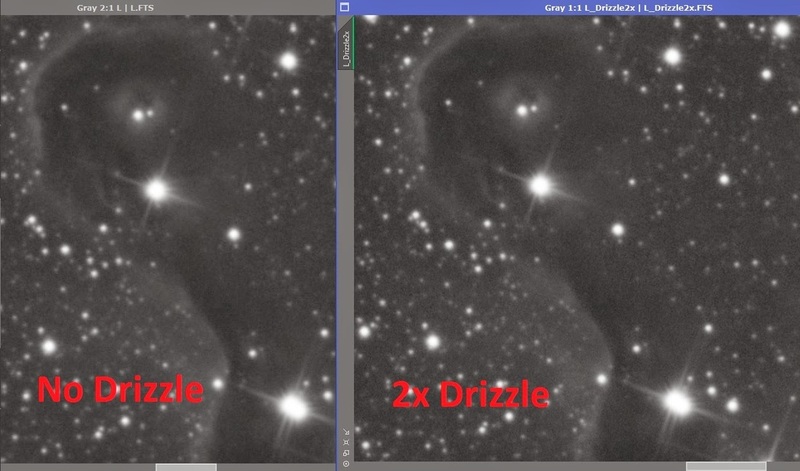 The above example uses DeepSkyStacker, but the Drizzle algorithm can also be found in PixInsight.